Farmers can now better manage their energy costs through on-farm assessments available under the Victorian Government’s $30 million Agriculture Energy Plan. The on-farm assessments will provide expert advice and opportunities to improve efficiency, while investing in new technology. The assessments, which are free for eligible primary producers, will be conducted by registered, independent experts and provide farmers with tailored advice on how to make energy decisions for their businesses. Farmers are required to have an on-farm assessment or a similar, recently-conducted energy assessment, to qualify for an on-farm energy grant. The grant program will support farmers to implement recommended changes to improve energy efficiency and productivity. An independent advisory panel comprised of energy and agriculture experts, will provide advice on the design and implementation of the Agriculture Energy Plan. 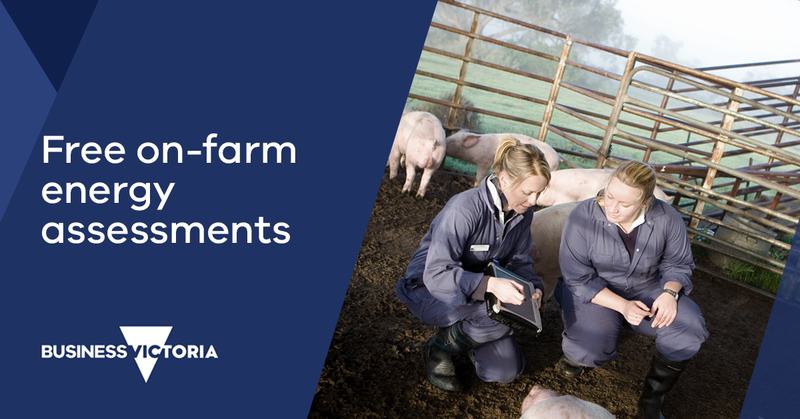 The Agriculture Energy Plan is a partnership between Agriculture Victoria, primary producers, agricultural and educational groups, designed to support Victorian farmers and agricultural businesses. Read more on the On-farm Energy Assessment program page.